Billy Casper is survived by his wife of more than 60 years, Shirley Franklin Casper, 11 children, six of whom are adopted, and 71 grandchildren and great grandchildren. 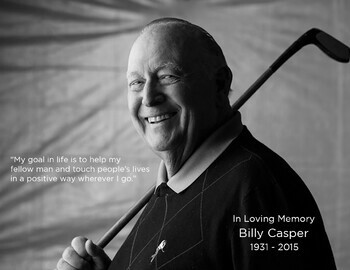 Billy Casper’s influence was felt throughout Billy Casper Golf, which manages Fellows Creek Golf Club and Banquet Center. Billy will be greatly missed.